If you are passionate about golf, in La Paz you can practice it on golf courses with unparalleled views of the sea. 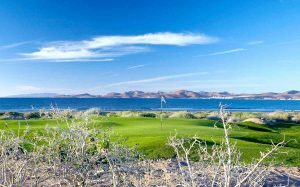 The first designed course by Gary Player in the tourism development of Costabaja located on the tourist corridor, has panoramic views of the Sea of Cortez and an innovative design that complements the unparalleled contrast of desert and maritime landscapes. At the end of your round the Restaurant La Pintada is a good place to rest since it is right on the golf course. 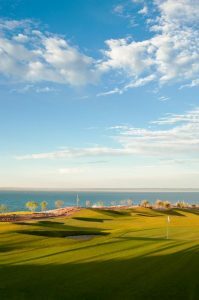 Another option for your tee off is Arthur Hills’ course in Paraíso del Mar a 56 hectares field in a unique landscape between the Bay of La Paz and the Sea of Cortés.